Kids who have hearing or vision impairment find it more difficult to play some of the same games that other kids play. They also have a hard time when playing with certain toys. However, there are plenty of games and toys you can invest in that will help kids with impairments to be able to learn and have fun at the same time. Tobbles are little spheres that come in packs of six. Many kids love to knock these down when a parent or sibling stacks them up, but often begin to stack and manipulate on their own. They’re brightly colored, which makes it better for the vision impaired. They’re weighted and have two different textures which is great kids with sensory processing disorder too. 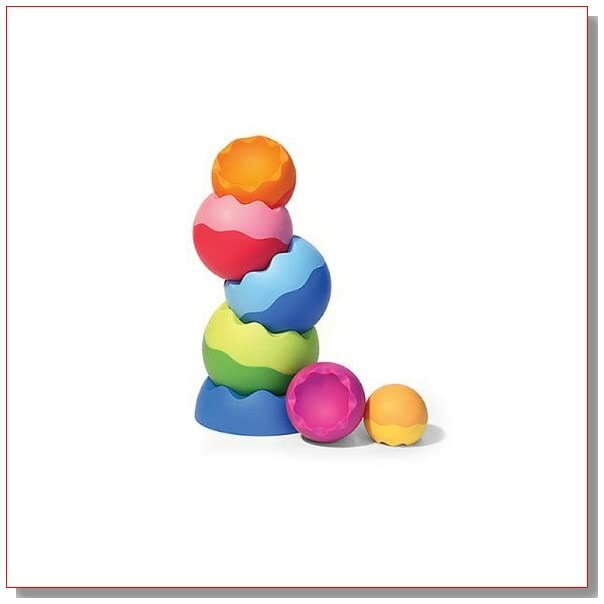 Tobbles are great for kids to learn about different colors as well as size sequencing. They help teach kids patience as well as their improve motor skills. LEGO Duplo is another colorful toy you’ll want to invest in. LEGO Duplo help to teach kids about sizes, colors and shapes with all the different blocks and scenes. You can buy several of these and each one is unique with different scenes including, my first fire station, my first garden, and my first circus. The blocks can be put together by two or more people but can also be put together by one child. The toy promotes imaginative play, but doesn’t involve a lot of talking unless your child likes to voice her characters and toy animals. 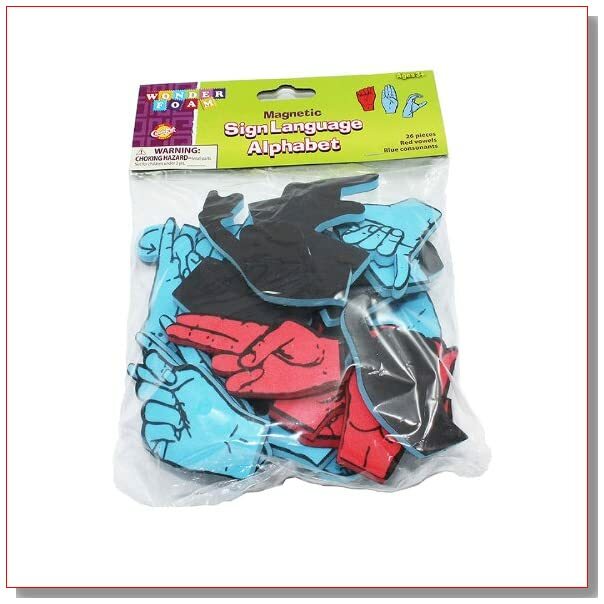 For children that are hearing impaired, there’s a great set of sign language letters that can help them to be able to master sign language, WonderFoam Magnetic Sign Language. Letters have red vowels and blue consonants. They can be used by children as young as three. 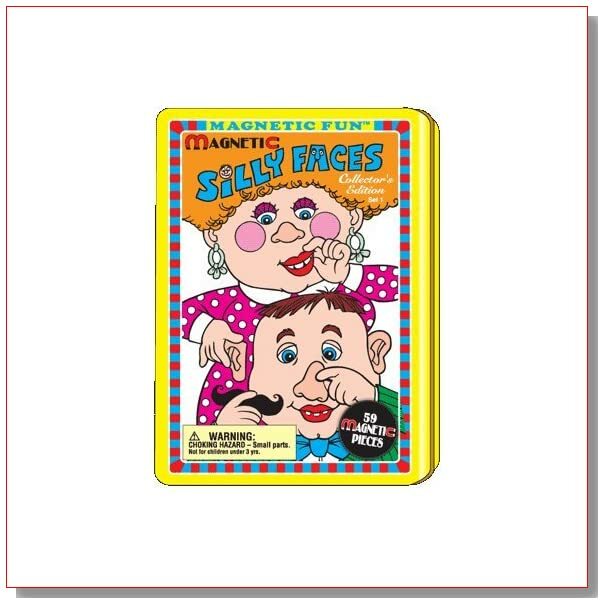 Silly Faces Magnetic Fun sets allow kids to make faces using the different characteristics included in each tin that you purchase. They can create faces with mustaches, glasses, hats, noses and more. It could be fun to try matching face parts to look like friends and relatives. It could be fun to try matching face parts to look like friends and relatives. 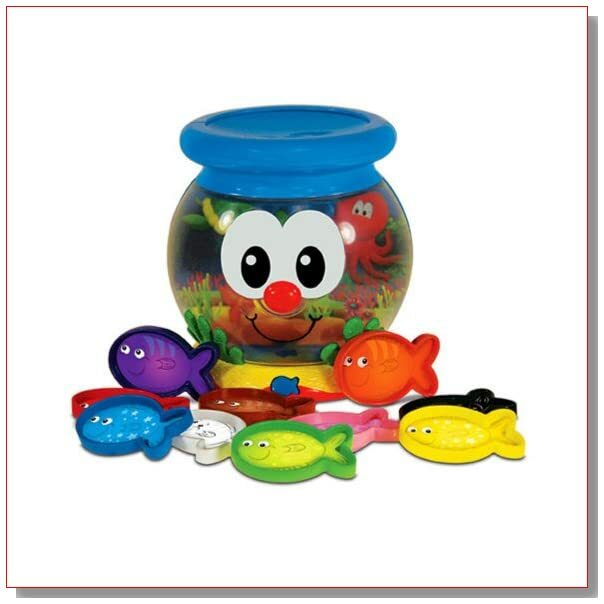 The Learning Journey Learn with Me Color Fun Fish Bowl has two different modes that are great for visually impaired kids. This toy teaches your child colors through sound. When a child puts the colorful fish into the fishbowl, the bowl announces the color.Learning Journey Learn with Me Color Fun Fish Bowl has two different modes that are great for visually impaired kids. This toy teaches your child colors through sound. When a child puts the colorful fish into the fishbowl, the bowl announces the color. 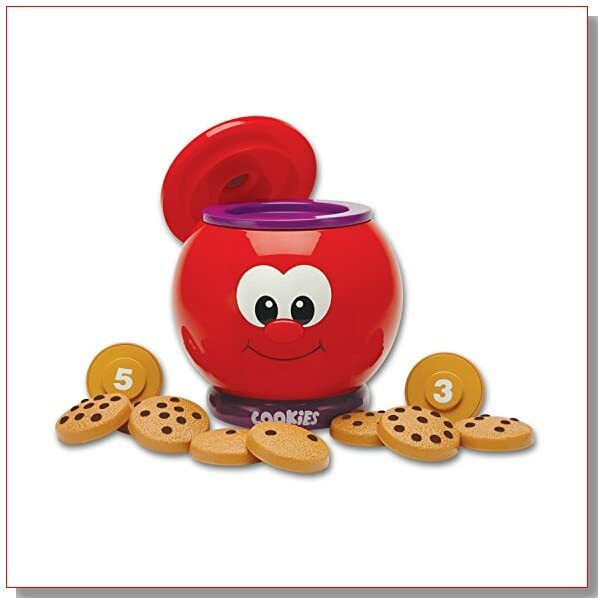 Another great toy is the Learning Journey Count & Learn Cookie Jar. This toy has two modes that will teach children about their numbers. This Learning Journey Count & Learn Cookie Jar. This toy has two modes that will teach children about their numbers. This speak aloud toy lets kids learn counting skills. It enables them to sharpen their problem solving skills also. 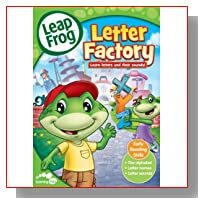 LeapFrog Letter Factory Phonics is great for visually impaired children. 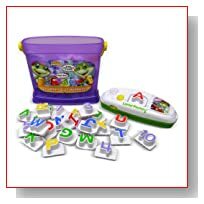 This toy comes with all the letters of the alphabet and each of the letters sings its name as it’s put into the letter factory. 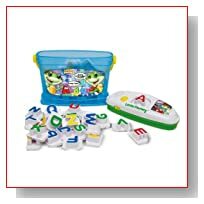 This teaches children phonics and helps them to learn letters based on feeling the shape of the letter. Have you used any of these toys and do you think they would help kids with visual or hearing impairments? these are some great toy ideas for kids with hearing impairments. They sure have come a long way in toy development! Jenn, you’ve listed some incredible resources for children with impairments. I never even thought of these toys existing. I hope those in need of these toys find your blog post. It’s extremely helpful! I applaud the creators of toys like these. It is not easy to have any kind of impairment and for them to show this much care for children is so heartwarming. I hope their tribe increases. I’m loving the sign language alphabet and the fish bowl! I’m glad to hear that you think they’d be good too! Aww, Danielle, give you sons a hug for me. We all learned some sign language a few years ago to help my daughter communicate since she didn’t want to talk much. Thanks so much, Amy! I hope these posts can help parents help their kids. Thanks Bonnie. Everyone in my family wears glasses and has since early childhood. My mother and grandmother are both legally blind but can see with glasses. Thanks so much for your share on twitter, Nathaniel! I so appreciate it when this info can get out to the people who need it. I’m so glad you posted, Andrea! Yes, toys and understanding in general has come a long way. We had a version of the cookie jar when my daughter was little. I think they would be helpful for any child. These are some great suggestions and I hope it reaches many. We all should share this a few times this week! I applaud companies for taking into consideration ALL children when making toys. This is awesome and I applaud you for sharing. I have both vision and hearing impairments and if I was a child, I would go nuts not being able to SEE or HEAR things. I believe all your toy choices here are great for kids with hearing and vision problems. Great job on your choices! What a wonderful post! Sharing this with my vision-impaired group. Many people there have children with vision impairments (and some hearing). Loved how you explained why each one would be good! I wish I would have found your blog 5 years ago! I have a step son who has Fragile X and when he was having severe sensory (primarily audio) issues, I wish I could have given him some of these fantastic fidgets and things. I am absolutely in LOVE with the sign language magnets. Fantastic. I may get them for my son anyways, who doesn’t have a disability but would really benefit from the phonetics and materials here. Ill definitely be back. THESE are such great suggestions. I truly hope the parents that need you find you. Truly.. you offer a wealth of information…. awesome list here. Thank you. What great ideas. I don’t have kids, but used to be a school based behavioral health specialist, and I was always looking for games/toys that could build emotional, cognitive and concentration skills in a fun way. There are several on this list that I think could fit the bill. Just a thought. They are a lot of fun for every kind of kid, Kungphoo! Not specifically with the Visual and hearing impaired but we have used the Duplos in the past.